Thanks very much for your speedy service. I placed an order last night after hours and still received the item today before close of business. Fantastic work! I will recommend you guys to my colleagues! Avencore Carbon Series 50m HDMI Active Optical Cable (Supports Ultra HD 4K@60Hz) + FREE SHIPPING! The best HDMI cables money can buy. HDMI over Fiber Optical cables are the only way to do 4K and HDR at lengths over 5 metres! Go beyond the limitations of traditional HDMI cabling with a hybrid fibre solution. Avencore Carbon Series HDMI Active Optical Cables offer true 4K@60Hz throughput at lengths beyond the ability of traditional copper cables. Aside from being a directional cable (with a dedicated source and display end), these cables operate just like a conventional HDMI cable, with no extra power or connections required - just a HDMI Male plug on each end! 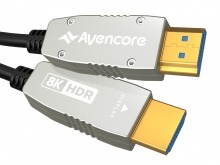 Avencore's Carbon Series Optical HDMI cables breaks new ground for what was previously thought possible! Supports HDMI v2.0a abilities including HDR, CEC, 16-bit colour and more. This amazing 50m cable requires no boosters or extra power of any kind! Compatible with all HDMI equipment. 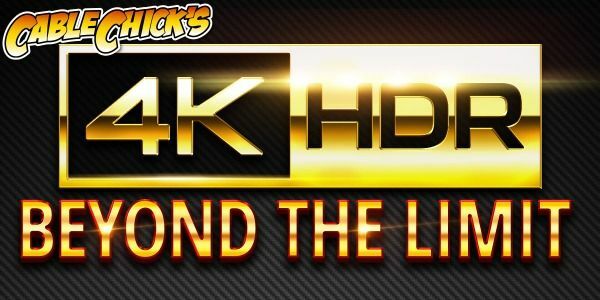 With the dominance of HDR and 4K content in the home theatre market, manufacturers of hardware technology have quickly exceeded the capabilities of copper cables, limiting users to cables of 5 metres or less in order to retain the bandwidth necessary for the biggest picture and best features. No so with the Avencore Carbon Series HDMI Active Optical Cable range. Using a fibre optic core, these exceptional cables are impervious to electromagnetic interference and retain maximum bandwidth over all lengths. Unlike other optical HDMI cables, the Carbon Series needs no external power of any kind and can work with all HDMI based systems without special setup requirements. With full HDMI 2.0a hardware compatibility, you'll retain features like HDR, 32 Channel Audio, Rec. 2020, 3D, CEC, Deep colour and more no matter how long your cable is. 4K UHD at 60Hz has never looked so good, and has never gone such a great distance! The Avencore Carbon Series HDMI Active Optical cable range is the ultimate in HDMI cable technology for the 4K era, and is targeted for use with 4K60 systems running HDR content, and for 1080p/3D content over longer distances than regular copper cables can achieve. No External Power needed! Plug and Play! Hi there, I recently purchased a complete upgrade of my home theatre and required a number of HDMI cables. One of the cables required needed to be 10 meters in length. The store where I purchased my AMP and projector told me that I needed extreme high quality cable to transmit both the video and the audio over that distance. They told me that they had tried cheaper cables in the store but that they did not work. I was about to purchase pure av 10m meter cable at $550. I searched the internet and found the Cable Chick site and decided to take a chance on the Amped Fusion Series HDMI10 meter cable and a couple of the 1 meter lengths. I have now connected all my components and they work perfectly! By purchasing the cables from Cable Chick I saved myself over $400. The service in receiving the cables was excellent and everything that was stated on the site was accurate. I will purchase more equipment as I require it from Cable Chick. Thanks again!! HDMI Over Fibre Cables have redefined themselves in the Avencore Carbon Series. These amazing, cutting-edge cables are capable of 4K@60Hz content over almost any length, and can work with HDR content as well as 1080p/3D and other modern HDMI 2.0a features. No external power or special setup required! I ordered a replacement 30m VGA cable before lunch online and it arrived the next day! I was amazed because other on-line companies (who were in my state) took 3 days to deliver!